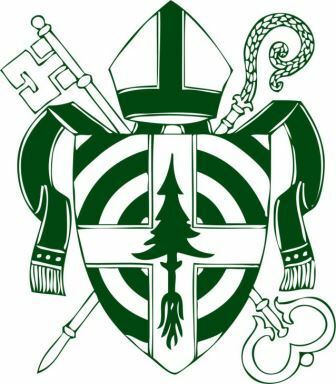 Vestry Member in Charge: Michael D.
Friday Evening, September 21 – 5:30 p.m.
Bishop Lane is coming to MDI for his final visitation before he retires. To honor him, the four parishes are hosting a Harvest Dinner at the Hulls Cove School House. September 2 will be the final day of our Summer schedule, and the last service at St. Jude's for the season. Holy Eucharist at St. Mary's by-the-Sea at 8 and 10; Holy Eucharist at St. Jude's at 10. Labor Day Concert: Flash in the Pans will present a concert on Monday, September 3, in the Re-Store parking lot, next to Jordan's Snack Bar, 200 Downeast Highway, Ellsworth. Donations will benefit Everybody Easts Free Community Meal and Families First. Bring a blanket or picnic chair, grab a bite to eat at Jordan's and come on over to the parking lot (inside building, if raining) & be ready to listen to a GREAT Steel Drum Band! And of course, if you are so inclined, DANCE, DANCE, DANCE!! Saturday, August 25, 7:00 p.m. Suggested donation for each performance is $10 – ALL proceeds go to the Westside Food Pantry which provides food vouchers for local residents during the winter and spring months. Registration is now open for "Love God, Love Neighbor," a three-day training course for clergy and laity that is designed to equip Episcopalians to be advocates, allies, and ambassadors for refugees and the ministry of refugee resettlement. Sponsored by Episcopal Migration Ministries, "Love God, Love Neighbor" will be held Thursday – Saturday, October 11-13 at Christ Church Cathedral, Louisville, Kentucky. The training provides an in-depth exploration of the global displacement crisis, the United States refugee policy, how refugee resettlement works, faith-based advocacy for refugees, and organizing to welcome and support refugees in your home community. The gathering brings together people not only from across The Episcopal Church, but also from ecumenical and lay partners to learn from one another as we explore different local contexts as they relate to refugee resettlement. The result is an invaluable opportunity to build community and relationships that continue on after the training ends. Information and registration are available here. Registration is $150, and includes all training programming and materials, a light breakfast and hearty lunch each day, and a reception on Thursday. Beverages and snacks will also be provided throughout the day. Registration does not include housing or transportation to the conference. Registration deadline is Friday, August 31 at 5 pm Eastern. Please contact Allison Duvall, Episcopal Migration Ministries Manager for Church Relations and Engagement, aduvall@episcopalchurch.org with questions related to this training. The final 2018 Summer Organ Series will be held on Friday, August 24 at 12:15 p.m. with Daniel Pyle and Elena Kraineva (viola d'amore). Donations will be welcome for St. Saviour's Friends of Music Fund which presents this series each year.